All of the eight tracks have lyrics about subjects that I find very interesting; how this unnatural world and society we have created is affecting us humans in different ways. How we stray away from our human nature and instincts more and more. And because of that we easily become misguided and lost. At least that’s my interpretation. ‘The Structure’ starts with a soft, but dark intro which soon turns into a heavy tune with smooth bass and powerful vocals. They have created such a nice balance between the heavy sound and the slow, beautiful passages. The keyboards in the back work very well together with the pounding drums, it’s a pleasure to listen to. ‘Vision’ has lots of cool, chugging guitars, some clean vocals and like in the previous song, the keyboards play a big role in the overall sound, even though they’re still in the background. Nice thrashy ending! ‘Vast Expansion’ gives you a feeling of Opeth with the acoustic guitar and dynamic structure. The slow, melodic start builds up into a fierce and groovy track and is, together with the title track, one of the best songs. ‘The Dark Sea’ has an underlying eerie keyboard melody and driving riffs which together with fast drums, repetitive guitars (so good!) and some clean vocals create an interesting track. ‘Drifting’ starts with an awesome guitar intro that gets stuck in your head. This song is something special, it’s quite slow and has a magical and slightly hypnotizing black metal feel to it with a slow, dreamy ending. I wish it had been longer. Lastly, the title track ‘Endlessly in Motion’ is a big favourite with its dark riffs, atmospheric guitar melodies and heaviness. It’s another song that could have been longer, but so could all of them and only because I’m a fan of lengthy tracks. I want this kind of experience to last for a long time. Full album stream below, enjoy! 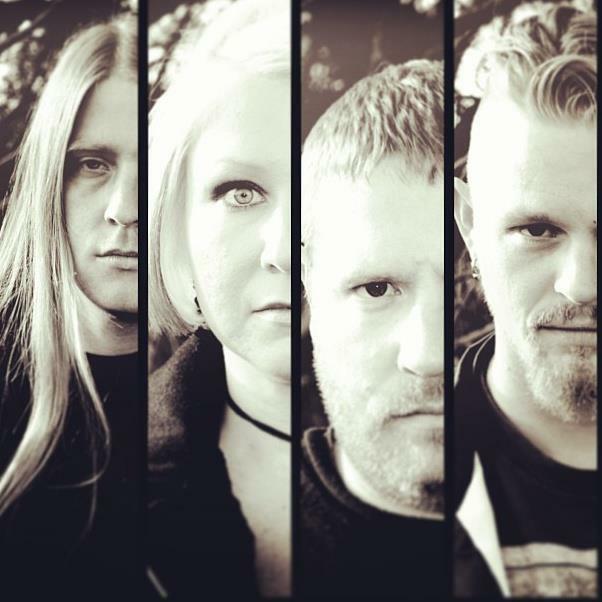 Moth is Benton McKibben (vocals/songwriting), Dave O’Berry (guitars/songwriting) Rhiannon Wisniewski (keyboards) and Stephen Handler (drums). They are based in Denver, Colorado and ‘Endlessly In Motion’ is their self-released debut. I have several download-for-free codes, given to me by the singer. 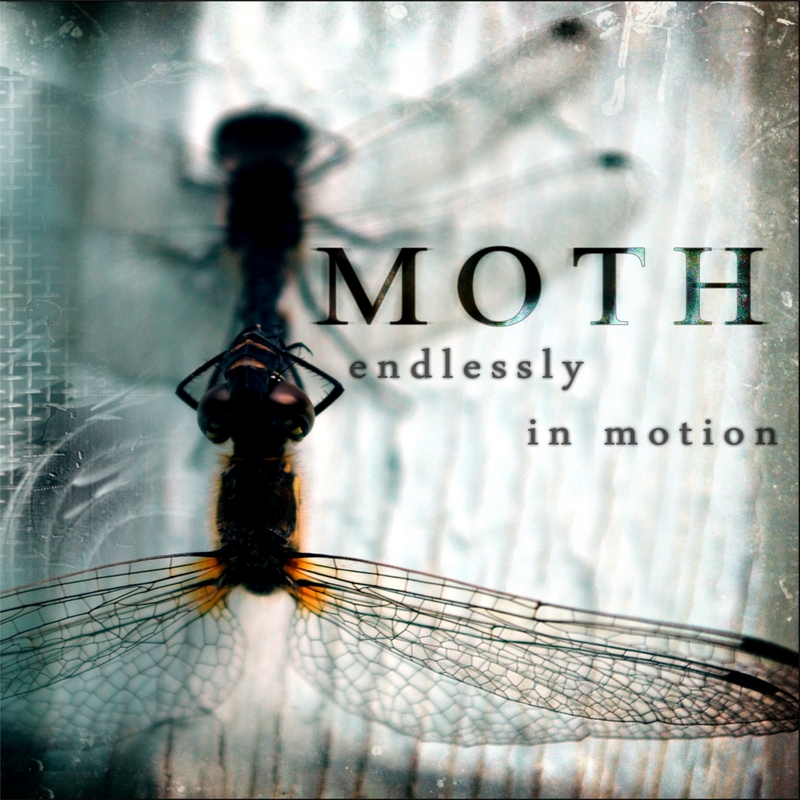 If you would like to own Moth’s brilliant album, e-mail us at metalstate@yahoo.com and I’ll give you one, or post your own e-mail address in the comments. Posted on March 12, 2013, in Album Reviews, Tales From Bandcamp & Full Album Streams and tagged Album Reviews, Album Streams, endlessly in motion, Full Album Stream, Gojira, Heavy Metal, metal, moth, Music, Opeth. Bookmark the permalink. 3 Comments.